George Zimmerman Created A Confederate Flag Painting For A "Muslim-Free" Gun Shop And Hey, He's George Zimmerman, What Else Did You Expect? Just when you thought you might have heard the last of him, the man pops up again. 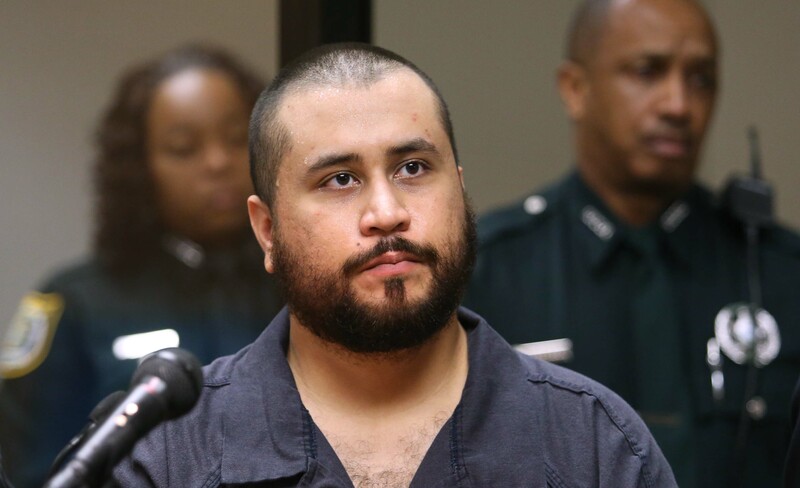 Trayvon Martin shooter and wellspring of despicable behavior George Zimmerman helped sell a Confederate Flag painting at a so-called "Muslim-free" gun shop in Florida. Wow, could that sentence be more loaded with loathsome tropes? On Monday, the owner of the gun shop, Andrew Hallinan, who is currently in a federal discrimination lawsuit after declaring his shop a "Muslim-free" zone, announced that the painting would be raffled off in a fundraiser, which will help cover his legal costs. The entire situation feels like a caricature of right-wing conservatism, and, naturally, the Internet is having a field day with the news. According to the website of Hallinan's shop, Florida Gun Supply, Zimmerman is offering signed print editions of the Confederate Flag painting, and anyone who purchases one will be entered into a raffle to win the actual painting. The website states that Zimmerman created the painting in honor of Hallinan "for being a true patriot and leading the country into a better, safer America." Zimmerman and Hallinan also made a "mini documentary" titled "Cultural Cleansing & Bias Media = Time For A Change," in which Zimmerman coolly smokes a cigar and the two talk about how the painting could be worth $100,000 like Zimmerman's last painting. They then discuss how that money could be used, heavily suggesting to whomever ends up with the painting that the hypothetical $100,000 should go towards Hallinan's legal fund — (he was sued by the Florida chapter of the Council on American-Islamic Relations (CAIR) in July), his "cause" (which can also be described as "discrimination"), and, switching gears, to the Boys & Girls Club of America. The caption, "The second protects the first" is a double entendre. ... The first flag I painted on this canvas was an American Flag, but decided to repaint over it with the Confederate Flag when I heard Andy was getting sued by CAIR. The second flag I painted was the Battle Flag, which we need in America in order to protect the first. He's a regular philosopher, that Zimmerman.